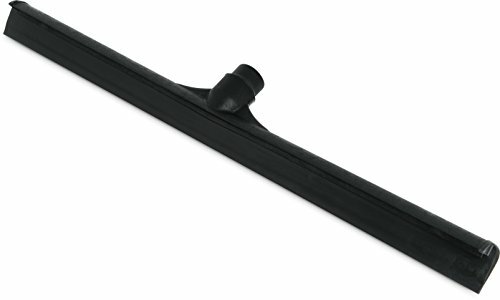 This Carlisle 3656803 black 24" one-piece rubber floor squeegee has a plastic frame for resistance to corrosion and bending and a foam rubber blade for absorption. It is safe for use on tile and marble floors, and the material will not cause sparks when cleaning up flammable fluids. The socket accepts a standard threaded handle and is recommended for use with the Carlisle 40225 Sparta Spectrum fiberglass handle (sold separately).